Heartworm prevention for dogs is a growing concern for dog owners, particularly areas where mosquitoes are prevalent. 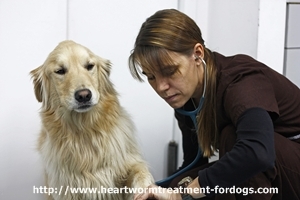 Fortunately, there are several safe and effective heart worm prevention treatments for dogs. Sentinel for dogs is a common treatment recommended by veterinarians. Sentinel for dogs prevents heartworms, whipworms, hookworms and roundworms. In addition, the treatment also breaks the life cycle of fleas. Sentinel contains milbemycin oxime to prevent heartworms and intestinal worms. The Milbemycin oxime impedes the function of the nervous system in invertebrate parasites and is effective against heartworm larvae and against larvae and adult roundworms, hookworms and whipworms. It is also effective in treating mites. This medicine is well tolerated by all ages and breeds of dogs (including herding types such as collies) and is also safe for breeding dogs. Sentinel also contains the insect inhibitor, lufenuron. This medicine does not kill adult fleas because it works in a very specific way. Unlike animals, insects do not have internal skeletons, they have exoskeletons, a hard material, chitin that surrounds and protects their bodies. Lufenuron does not affect the exoskeletons of adult fleas but is passed to the eggs from the female flea, preventing them from hatching. It is also passed out in the flea dirt secreted after adult fleas have drunk your dog’s blood. This flea dirt is a food source for flea larvae and they take in the lufenron which prevents their exoskeletons from forming properly and so they die too. Want to find out more about fleas and other parasites? Fleas -this article explains why flea prevention is so important – fleas can cause other illnesses and can be much more serious than a rather itchy problem! Whipworms are an internal parasite which Sentinel also controls – find out more about this type of worm. Finding worms in our dog’s poop might be the first indication he has a worm problem, find out more about the implications of worms for your pet’s health – and for your family too. The medication is administered every 30 days through a beef-flavored tablet. It is recommended the medication be administered on the same day each month. Many veterinarians recommend year round treatment, and this is now the advice of the American Heartworm Society too. Sentinel should be given with the dog’s meal or immediately after the dog has eaten. Food is necessary for absorption of the lufenuron contained in the tablet. Food provides the mechanism for the medication to be absorbed into the bloodstream. Most dogs like the flavor of the tablet and it can be given as a treat. The tablet can also be mixed with the dog’s food. It is important to monitor the dog to ensure the dog has consumed the entire tablet. Sentinel is not recommended as a heartworm treatment for puppies under four weeks old or dogs less than two pounds. The medicine does not kill adult fleas. If your dog has fleas, you will need to use an adult flea treatment to get rid of them. While Sentinel is proven safe and effective, it is important to monitor your dog for any negative reaction to the medicine. Reactions are rare and usually are an allergic reaction to the chewable itself, rather than the medication it contains.